I wanted to share our new favorite dinner night. Chuck has been working noon to 9PM for the past couple weeks which means I have to make dinner and put the kids to bed. This would not be too bad if after I picked them up I got us all home before 6PM, but alas this can not be. All of this has resulted in a lot of fast or make ahead dinners. So last week, after a very hard day at work I was not in the mood to really cook and was out of bread and I came up with the idea of doing experimental noodle night. 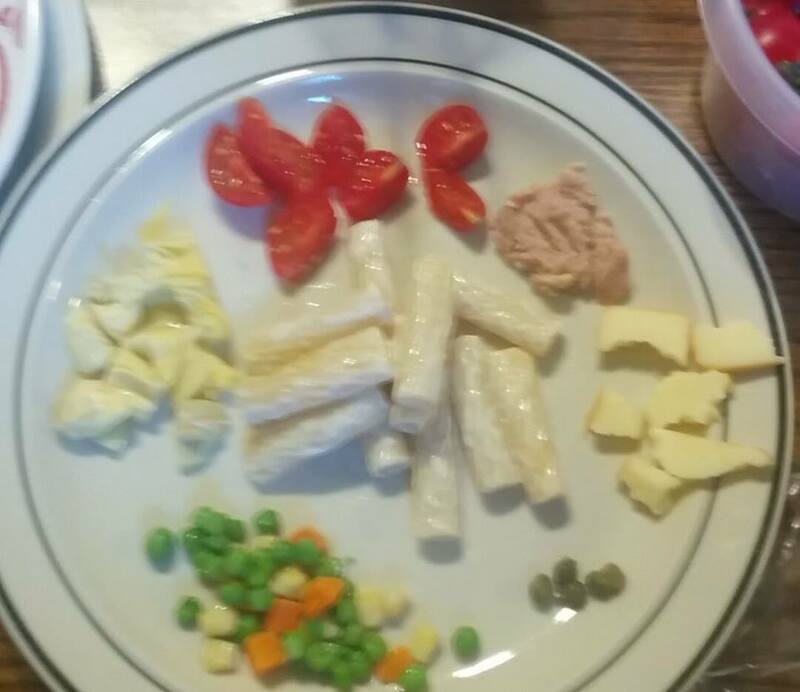 I cooked up some noodles and a jar of alfredo sauce, opened a can of tuna, a jar of capers, a jar of artichoke hearts, cut up cherry tomatoes, some smoked cheddar cheese, added some leftover vegetable mix and there you have it. I told the girls to try each thing with the noodles and see which one was the best. They loved it and had a ton of fun tasting each thing with the noodles. P’s favorite was capers (which shocked me because she hates pickles) and p’s favorite was the cherry tomatoes. I loved mixing everything together expect for the tuna. The tuna would have been great if it was fresh and not canned. The girls are now asking for it all the time and also asking if we can add different things to try with noodles next time. I called my mom and told her about the dinner and she has now requested that we do it on her next dinner night at our house. So this Wednesday night we are going to try it with broccoli, asparagus, bacon, shrimp, spinach and Gouda. I can’t wait to find out what the favorites will be this week. Sorry the picture came out very blurry and I had only taken the one to show Chuck what I was talking about. Please tell me in the comments what you think would be good to add for the next experimental noodle night.